A British civil servant getting a bespoke Aston Martin as a company car funded by taxpayers? Yeah, right. James Bond might be driving the one-off Aston Martin DB10 in the new movie Spectre, but we list 10 British-built cars that would do the job just as well. Maybe. Let's assume Bond receives adequate remuneration for the risks he takes in his job and put him in the 40 per cent company car tax bracket. We don't know the DB10's P11D value as it's a one-off, but if we look at the DB9 or top-end Vantages, the prices are around £140,000. Factor in the top BIK tax band and his status as a higher rate tax payer, and more than £1,500 of his monthly salary could disappear in BIK tax. Our list has rather less expensive choices, that would also be better for us overburdened, austerity-weary taxpayers. Perhaps the fastest mainstream car to be produced in the UK, the Civic Type R is even exported to Honda's home market in Japan. The front-wheel drive Type R produces 310PS and will accelerate from 0-62mph in 5.7 seconds. With a top speed of 168mph, basically it's as fast at the Aston Martin V8 Vantage used by Timothy Dalton in The Living Daylights, and much more agile. 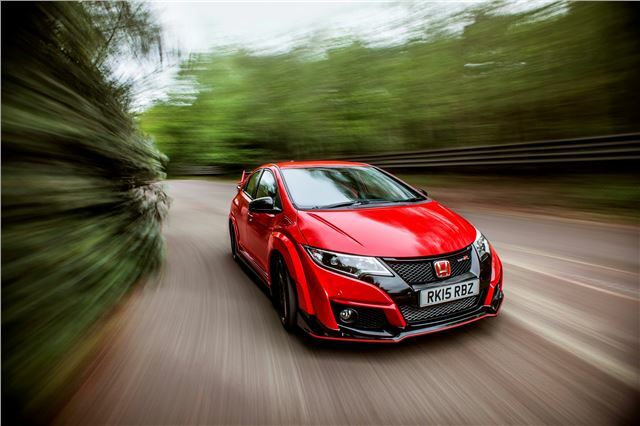 Read more about the Honda Civic Type R here.